All donations are tax deductible and used to directly support our clients. Clicking the button below will direct you to our donation website through Click and Pledge. Thank you to all of our donors! You can also donate while you shop! When you shop through Amazon Smile, SARA will receive a portion of all eligible purchases. Simply set up your account to benefit SARA by clicking on the image below. 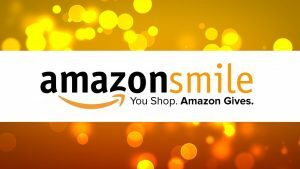 Be sure to shop through smile.amazon.com! Select “Sexual Assault Response and Awareness, Inc.” to support. Writing down thoughts and feelings can be helpful for anyone. For sexual violence survivors, writing is often part of the therapeutic process. By providing a journal to our clients, we can help them take a step towards moving through the trauma they have experienced. When someone goes to the hospital for a PERK (physical evidence recovery kit) they may have to leave behind many personal items for evidence. Luckily, the Emergency Department at Carilion Roanoke Memorial Hospital provides clothing for clients. Unfortunately, these kits do not include sports bras. We will accept new, clean sports bras in all sizes to give directly to the Forensic Nursing staff at RMH.